The classic supernatural thriller by an author who helped define the genre. 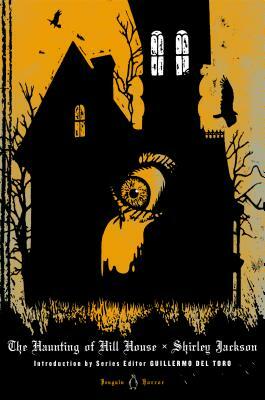 First published in 1959, Shirley Jackson's The Haunting of Hill House has been hailed as a perfect work of unnerving terror. It is the story of four seekers who arrive at a notoriously unfriendly pile called Hill House: Dr. Montague, an occult scholar looking for solid evidence of a “haunting;' Theodora, his lighthearted assistant; Eleanor, a friendless, fragile young woman well acquainted with poltergeists; and Luke, the future heir of Hill House. At first, their stay seems destined to be merely a spooky encounter with inexplicable phenomena. But Hill House is gathering its powers—and soon it will choose one of them to make its own. Shirley Jackson (1916–1965) received wide critical acclaim for her short story "The Lottery," which was first published in the New Yorker in 1948. Her novels include We Have Always Lived in the Castle, The Sundial, and The Haunting of Hill House. Guillermo del Toro is a Mexican director, producer, screenwriter, novelist, and designer. He both cofounded the Guadalajara International Film Festival and formed his own production company—the Tequila Gang. However, he is most recognized for his Academy Award-winning film, Pan’s Labyrinth, and the Hellboy film franchise. He has received Nebula and Hugo awards, was nominated for a Bram Stoker Award, and is an avid collector and student of arcane memorabilia and weird fiction.